As the longest day has come and gone and the Autumn evenings start to draw in, we slip off our shoes for more comfy, warm shoes, “Slippers” or what my mum calls them “House Shoes.” These are favored as we begin to settle in for cosy nights with the central heating cranked up full blast, racking up that Gas bill during the winter months. Winter months tend to long in most western countries. But slippers aren’t just things for the Winter. Slippers can be worn in the Summer too. If you’re like me, I can’t stand having cold feet so I have slippers for all seasons. The word comes from the verb “to slip”. It is thought that slippers were originally from the East but they have been worn by every culture. The earliest recorded reference to the slipper was is in the 12th Century by a Southern Song Dynasty Officer. He described two types of slipper he saw in what is now Vietnam. These slippers had a thong to fit between the toes or a leather strap across the foot. The outsoles would have been made of leather. In the West, slippers were first recorded around 1478. In the East, the slipper was a symbol of captivity. A Sultan’s harem would wear them for indoors making it easy to slip the shoes on and off before stepping on expensive Persian carpets. The slippers were very soft and comfortable and for indoors use. Therefore, a concubine wouldn’t have been able to make a break for freedom in them. This is because they were too thin and slippery for the hard rocky roads outside. 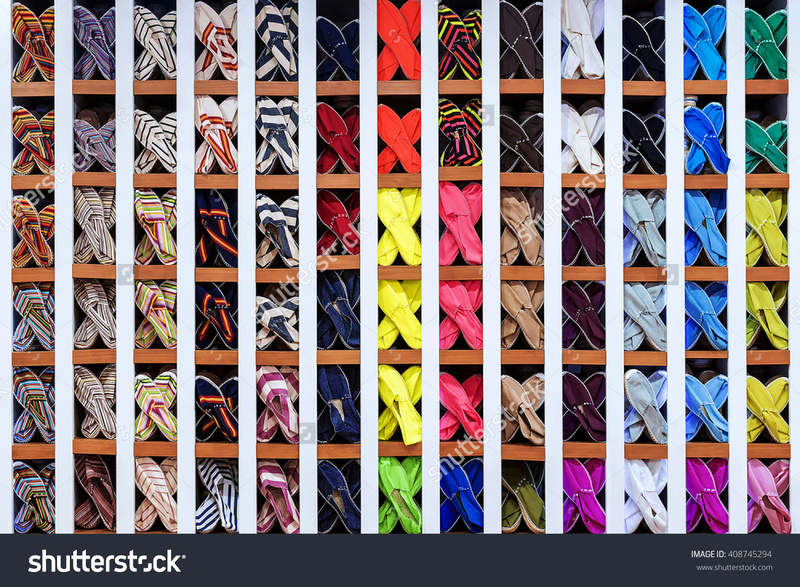 In certain cultures, such as Japan, it is a social obligation to remove shoes and wear slippers when entering a place of residence. This is due to tradition and respect for the house. The Meiji period (1868-1912) was one of unprecedented transformation that was to affect all areas of life, including clothing. During this time, special slippers were created for foreigners to pull over their shoes as the Japanese were accustomed to taking off their shoes and donning slippers indoors but their Western friends were not, hence the invention. The Japanese also have toilet slippers, which you put on before you enter the toilet and you slip off after you leave so you must leave the toilet as you entered as the slippers are meant to face the toilet! Although I’ve been told that this not a common practice. By the mid-16th Century most wealthy men wore slippers made of soft Leather, Silk or Velvet, often in patterns that matched their outfit. Don’t forget, men in those days were more dandier than the women! Women also adopted an extremely impractical form of shoe called the “Chopine”. These slippers sat atop a platform that ran the length of the shoe and could be as high as twenty-four inches! As a consequence, chopines were very difficult to walk in. Both men and women used ribbons, bows, and jewels to decorate their shoes. Of course, such shoes were not intended for outdoor wear and both sexes wore overshoes called “Pattens” and “Pantofles” to protect their dainty shoes if they did go outside in them. The Victorian era, saw the “Prince Albert Slipper”, so called after Queen Victoria’s husband Prince Albert. These shoes were a velvet slipper with a quilted silk lining and leather outsole. They were first worn by English aristocracy when Black tie dress for dinner was required by standards of etiquette. They would don velvet smoking jackets with a cravat and coordinating Prince Albert slippers. Eventually, this custom moved outside the home to clubs and smoking rooms. Nowadays, these slippers are known as “Smoking Slippers” and are worn by both men and women, sometimes worn informally outside. Today, slippers come in many styles, Slip-On Slippers, Boot Slippers, Novelty Slippers and Moccasin Slippers. They can be made from different types of materials from leather, suede, wool to manmade materials with outsoles being made from again a variety of different materials like leather, rubber or EVA.